Spool Weight / 2 OZ. The S 1 Fly Reel is available with custom engraving, ventilated light weight spools that reduces weight by approximately 1 oz. and comes in colors red, black, dark green, light green, orange, gold or brushed aluminum. It has been a long time coming but here it is, my rendition of a fly reel. It has taken years to get the practical design I was looking for. 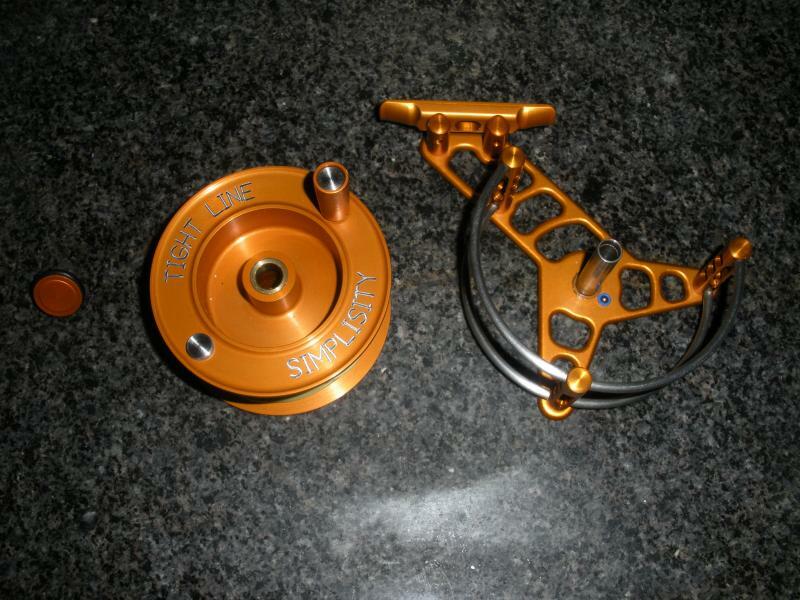 The first reel is a 5-6 weight, left or right hand, forward or reverse weight transference with your choice of color. 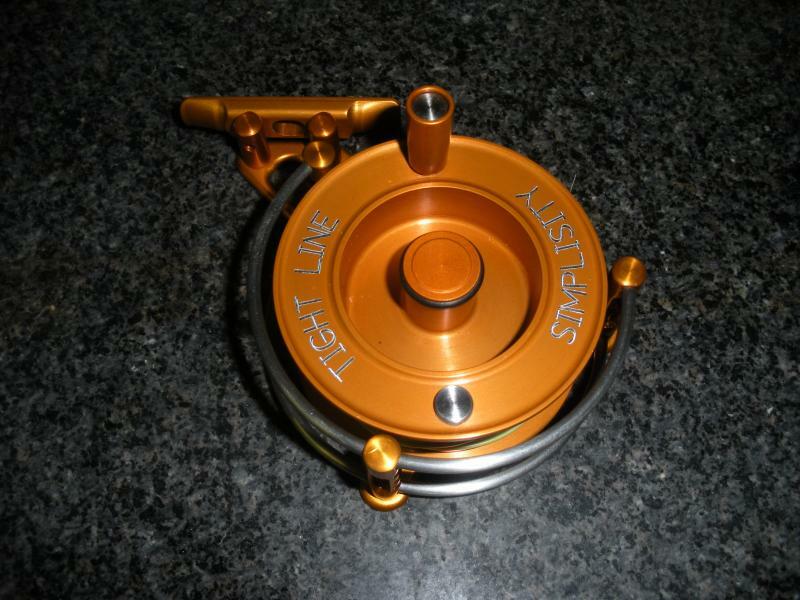 The introductory price of this reel with 1 anodized color is $155 with free shipping in the US. 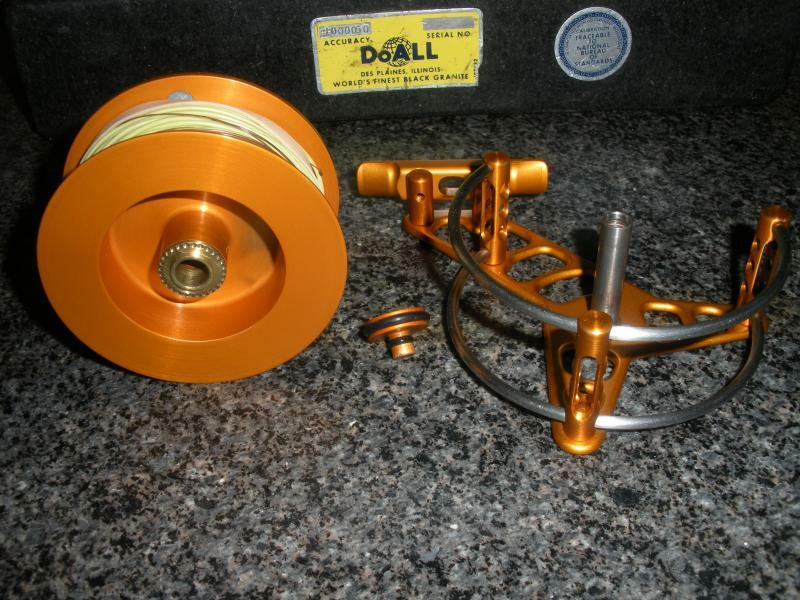 Spare spools to match with reel purchase $95. Spools alone $100. We are using a detent - indent drag system for smooth quite operation. A quick release spool change as fast as any other. The weight forward design of this reel facilitates the use of today's lighter shorter rods and if set in the weight reverse position lends to a longer heaver rod. Our reel is convertible from left to right hand retrieve.